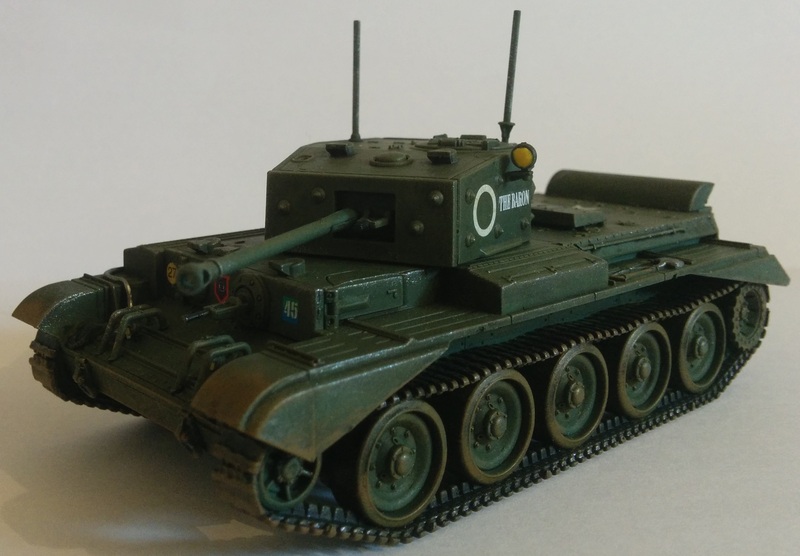 Still to complete is another Cromwell, 2 ten man squads, an M5 and a Mortar. 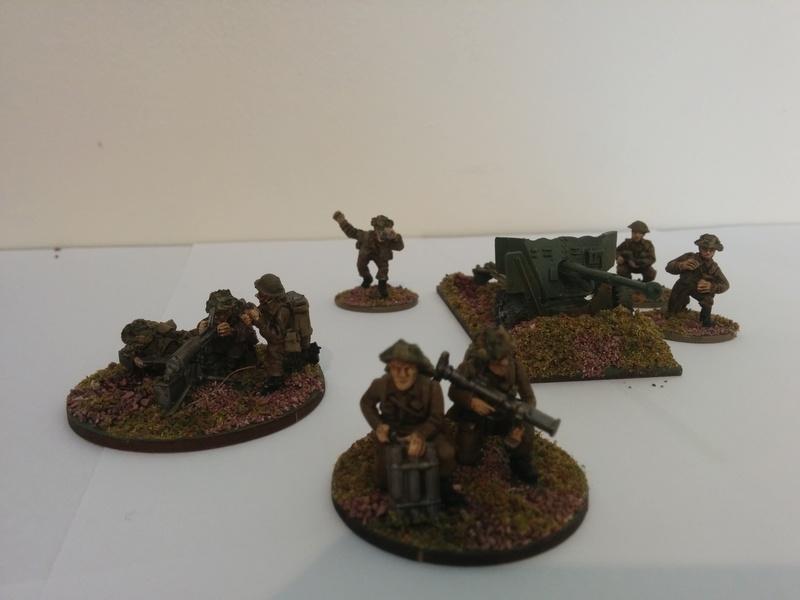 I’m working on a gaming board, planning it to be a Normandy board, around the time of the breakout from the beaches – so Operation Goodwood/Market Garden I guess. The plan is to aim for 6×4, with a small hamlet, roads, some woodland, lanscaping, walls and hedges etc. 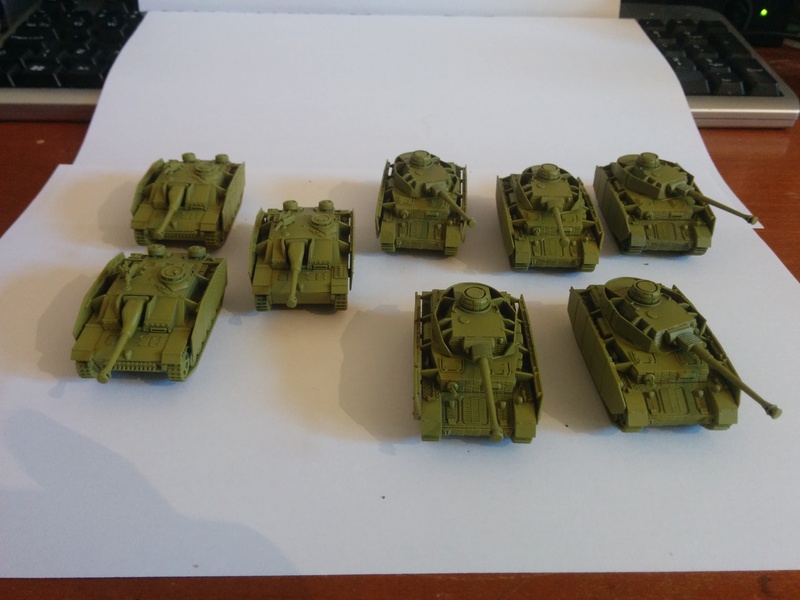 Pics of buildings will follow in a later post when I start to paint them. 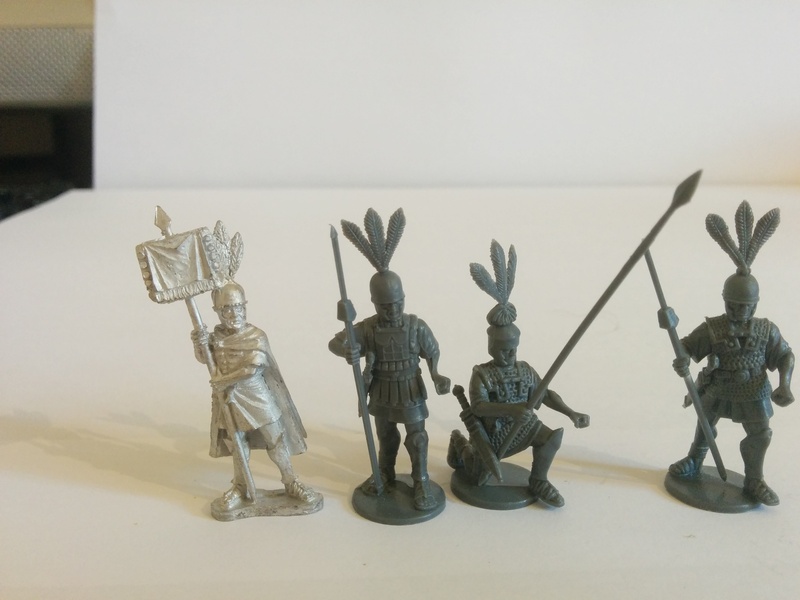 More Hail Caesar stuff, this time Republican Romans for Pyrrhic wars. 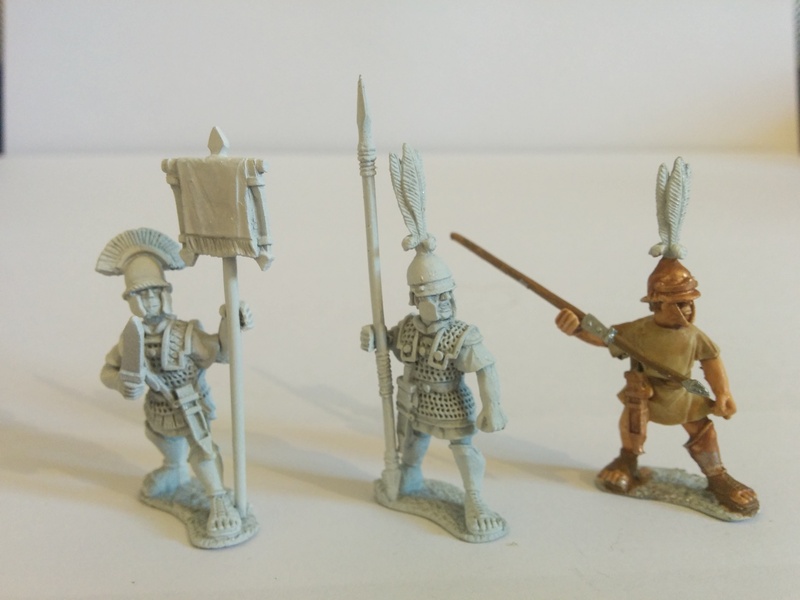 Mostly in the test painting and assembly phase I have more than enough Romans for two divisions to represent the two Roman Legions at Heraclea. 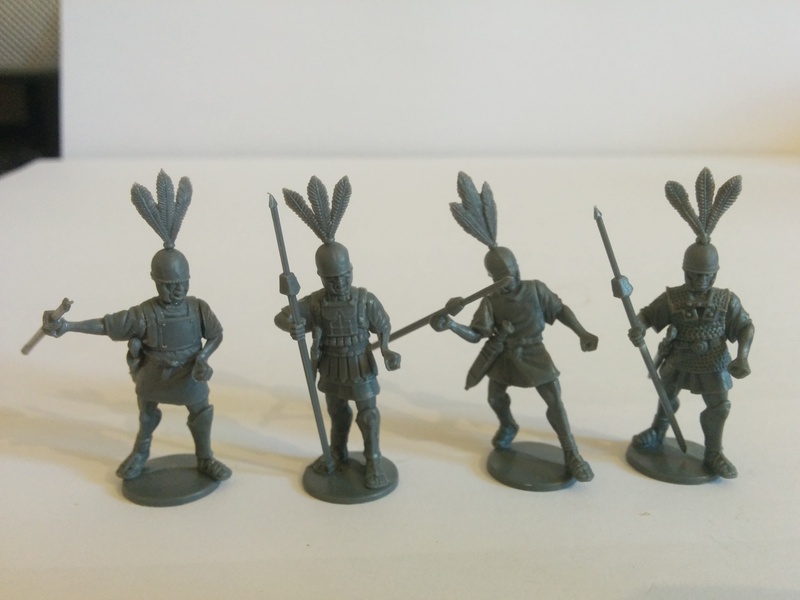 Once they are done I will look into the allied legions and the cavalry. 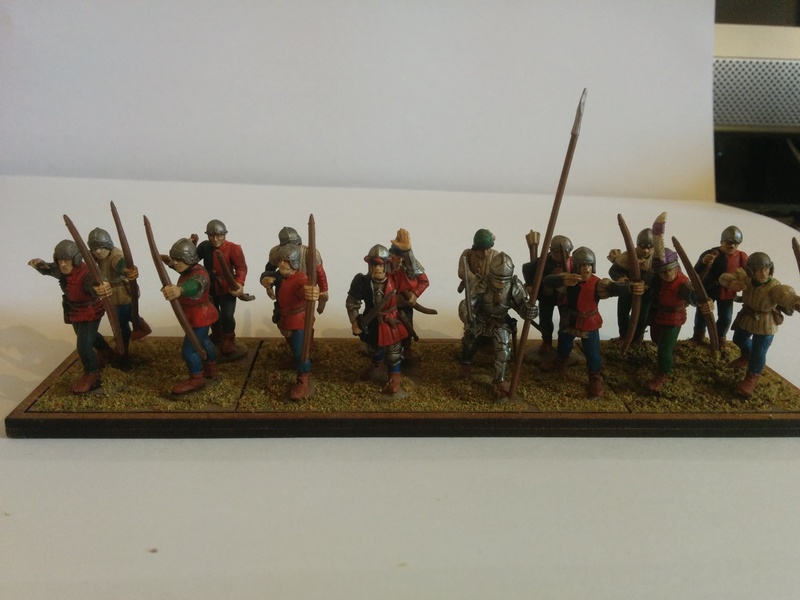 Because the Perry Minatures Wars of the Roses range is just amazing, the 10mm project morphed into 28mm, and so far I have 2 units of bowmen and a unit of Men at Arms complete, so almost enough for a single division done (less banners and a bit of basing). 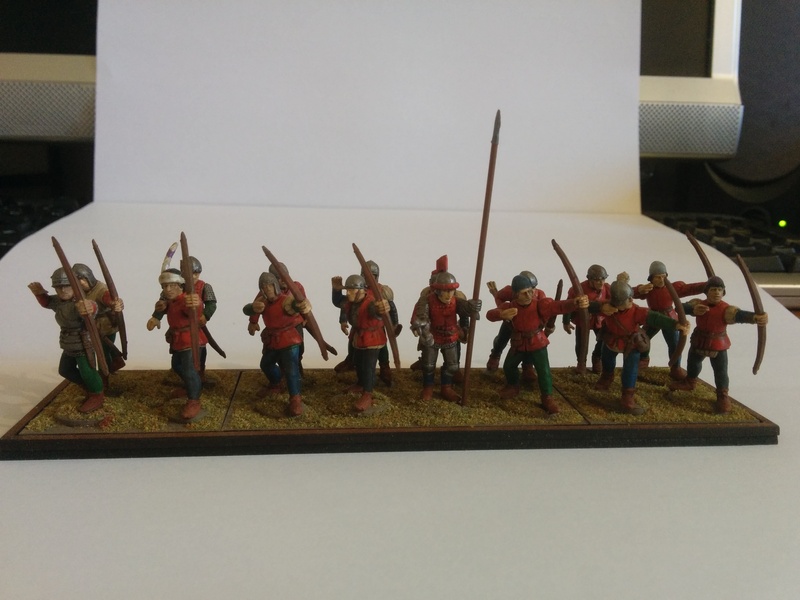 No Oxford troops yet, as finding a suitable colour for his livery has been a chore. 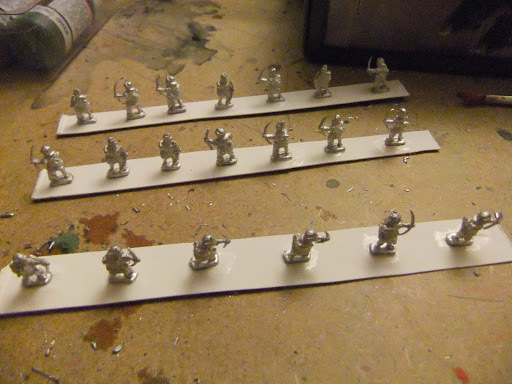 I intend each division to have probably two units of archers, a unit of bill and a small unit of MAA as a first goal, with the Warwick division getting a unit of mounted MAA in place of some archers and Montague some artillery and handgunners in addition. 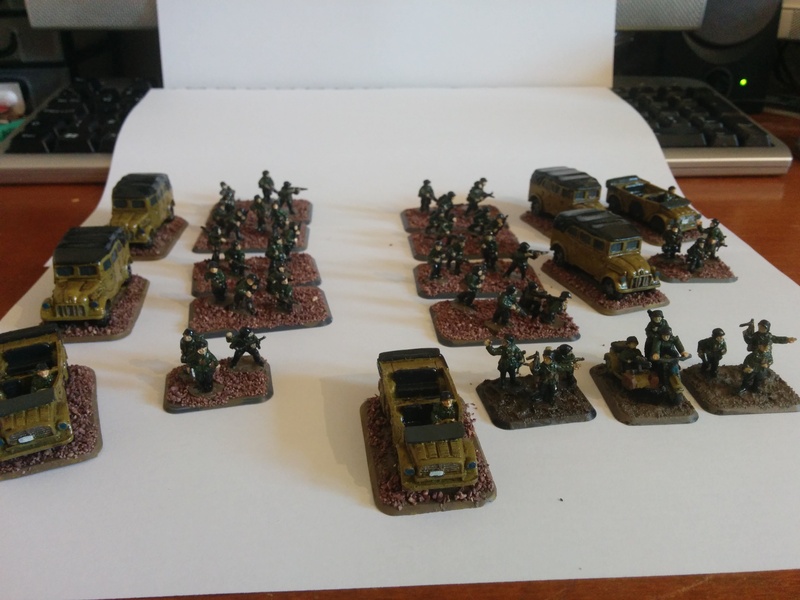 Update on how the Flames of War Germans are going. 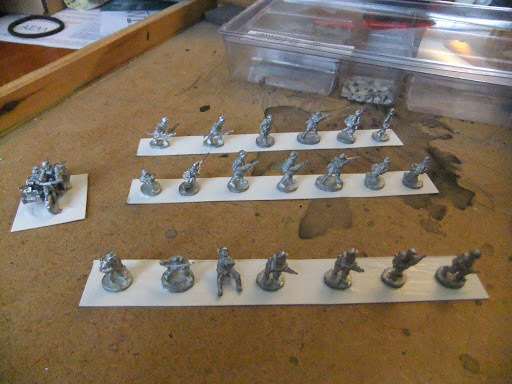 I haven’t fully assembled the infantry from the box yet. So that’s where the FoW stuff is at… Maybe we’ll get a game in soon! 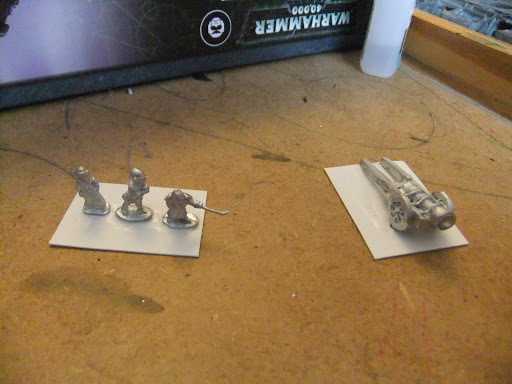 Bombard and crew also prepped for undercoats! 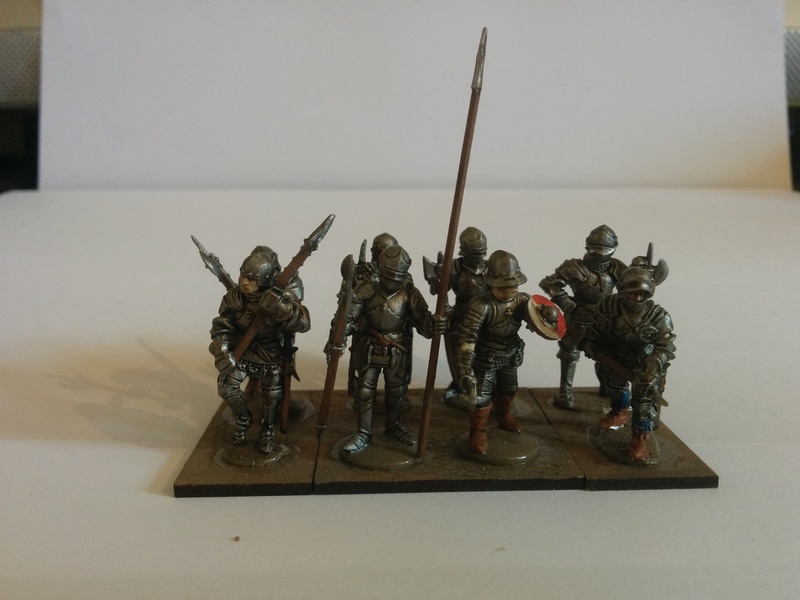 And after I painted some block base colours. 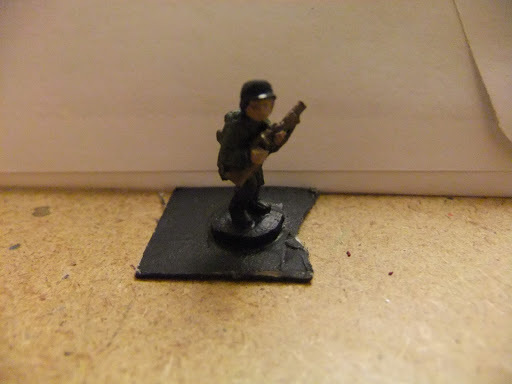 That’s Vallejo German Grey (995) for the trousers, Vallejo Reflective Green (890) for the jacket, Citadel Calthan Brown on the gun and pack and Citadel Tallern Flesh for the skin areas. I then washed him in Devlan Mud (which I accidentally ingested, it tastes as awful as it smells kids!) 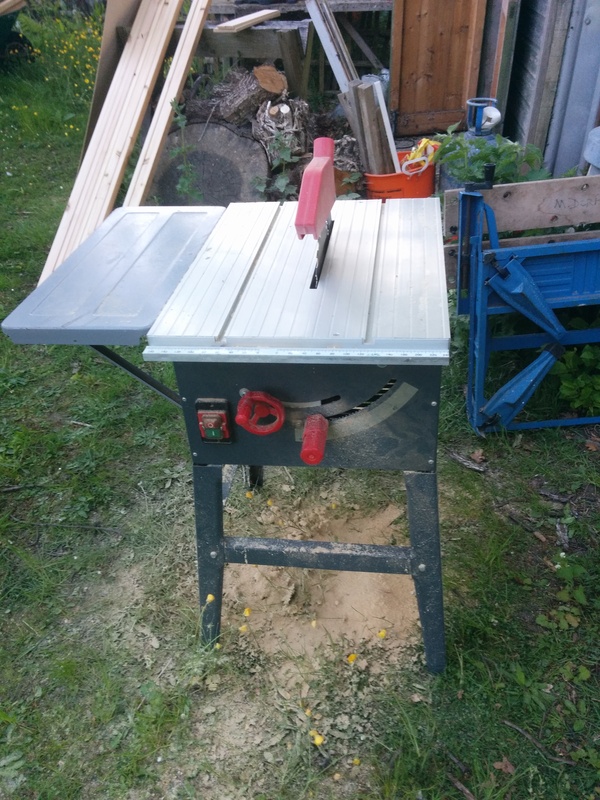 [pic to follow] and I’m going to touch up some details with metal and some other brown shades. Right now I feel the whole piece is rather dark, but that could be improved with a brighter base, and some better light in my living room. 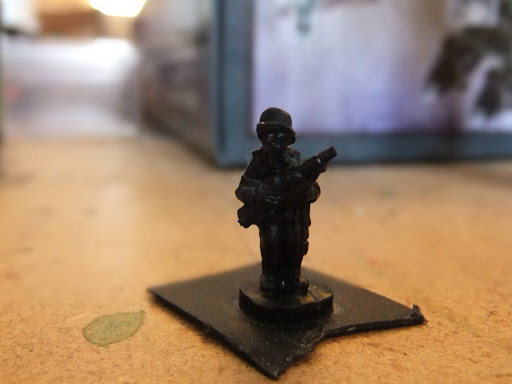 Overall I’m not massively impressed with my first 15mm effort, but I guess things will get better as I do a few more pieces, and I get a lamp because the light in my living room is godawful for painting. So what am I working on?